Volkswagen will offer cheap safety options on many of its 2016 model year vehicles — including the popular Jetta — which is good news for consumers but bad news for collision repairers. Variations of the driver’s assistance packages described in Wednesday’s announcement will sell for between $395 on the eGolf (VW only sold 357 last year, so don’t feel bad if you haven’t heard of it) and $2,960 for the Touareg, according to a Volkswagen guide. The package can include some or all of these features: parking assistance, adaptive cruise control, collision warnings and autobraking, blind spot monitoring and rear traffic warnings and lane departure autosteering or warnings at speeds over 40 mph. Also, automatic post-collision braking, in which the vehicle continues to hit the brakes after a crash to minimize the chance it will strike something else, will come standard on everything Volkswagen sells in the U.S. except for the 2016 CC. Rearview cameras, which the government will soon require anyway, will be standard on 85 percent of models. The wild card is the Volkswagen Passat, which is due to be “refreshed” for the 2016 model year with changes including “a host of new driver assistance systems,” according to Volkswagen’s news release. The car sold more than 96,600 units last year, so it’s a likely candidate to eventually appear in collision repairers’ shops. “Rest assured that we will be populating these features into new models,” spokesman Mark Gillies wrote in an email when asked what options would come to the 2016 Passat. Volkswagen’s safety option price points, while not as cheap as the deals Toyota will offer U.S. customers by the end of 2017, should still be low enough to win over customers. In April, a J.D. Power study found consumers’ top 5 car tech wishes included automatic braking, blind spot checking and collision prevention, a rear-view camera instead of a mirror, and night vision dash displays. It also found they’d be willing to spend between $2,067 and $3,703 on vehicle technology, depending on age. These features — particularly autobraking — being offered standard or cheap enough that consumers buy them should concern repairers. 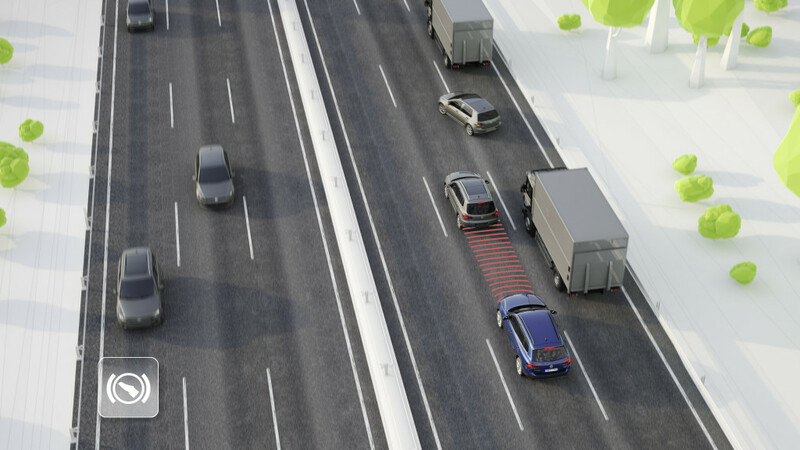 It won’t have lane assistance — which Progressive has found also to be useful in cutting collisions — but Volkswagen’s top-selling Jetta will sell a package containing adaptive cruise control, autobraking, and blind spot monitoring for a combined $950. The GLI and hybrid versions won’t have this option, though. While damaged safety gadgets like sensors are going to cost more to fix and likely require an OEM part, the existence of the technology is enough to cut crash frequency to a point where business isn’t as good. In May, Thatcham Research found the seventh-generation Volkswagen Golf caused 45 percent fewer third-party injuries than a control sample of its predecessor and competitors in the United Kingdom — and the auto-braking likely was the cause. A Thatcham expert noted that three-fourths of all collisions across the Atlantic happened at low speeds, usually at less than 25 mph. The AEB studied could prevent a 15 mph or slower crash, and mitigate one up to 25 mph. 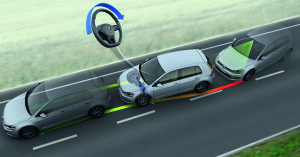 VW had already improved the technology, Thatcham noted, pointing out that the new Bosch system on the U.K. Passat could detect pedestrians, and tests showed it might be able to avoid all accidents under 25 mph.